It seems like a long time ago. 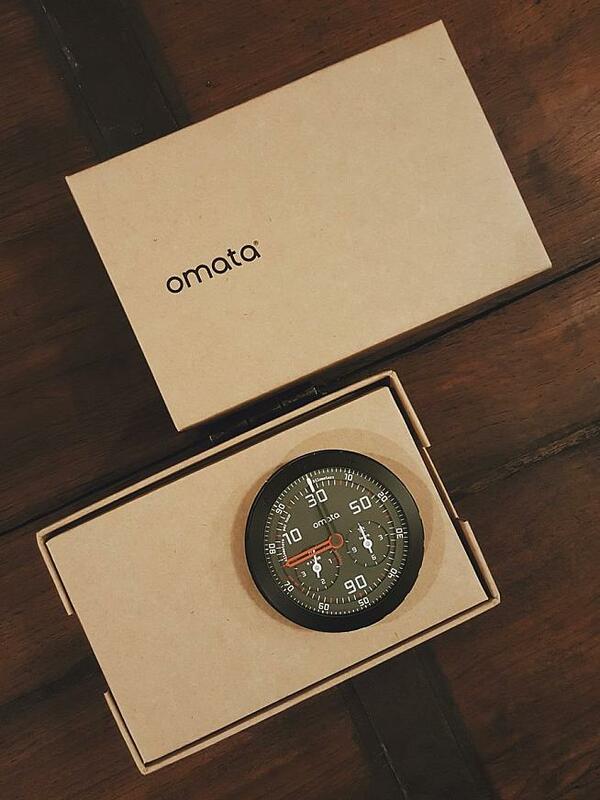 Back in April 2016 I somehow found a Kickstarter campaign for an Analog GPS Speedometer called an OMATA. The prototype looked fantastic and while I would have to wait 10 months for it to be shipped, I'd be one of the first to have this new piece of kit. I duly pledged the $519 cost, plus the extra $20 shipping charge. On 5 May 2016 it was confirmed that I was one of 498 people who had backed OMATA to the tune of $229,904 and my credit card charged. Two years later, I am not so excited. February 2017, the promised shipping date, passed by with no OMATA. We did get the odd email from their Venice Beach, California headquarters explaining that they were having issues with the firmware and various components but no promised shipping date. "Our order fulfillment logistics is straight forward: we ship first to you, our Kickstarter backers. Once we have fulfilled your reward for supporting us, only then will we ship to pre-order customers. We know what you're thinking now: "When will I get mine?" We plan on shipping directly after final assembly, which is currently scheduled with the factory and our partners to be during the first and second weeks of January. We anticipate that all major components necessary will be in Oulu, Finland by the end of December. Subsequently, we will begin final assembly after New Year's." "Thank you for update 21. As I read it, it is very unlikely we will see our OMATAs until February at the earliest and possibly much later if the components aren't available or certification is delayed. Can I ask if it is also contingent on you managing to get quite a lot more pre-orders? Reading between the lines, it felt like that you needed to get as many pre-orders as possible to make it economically effective to get the OMATAs assembled." "We are manufacturing your OMATA One right now. Literally. We do not need additional pre-orders. Thanks for your patience." On 23 March 2018 I started receiving marketing emails from OMATA saying that I could pre-order a new OMATA for $550. In late March the Kickstarter OMATA feedback page started getting posts from other backers saying that they had received their order. 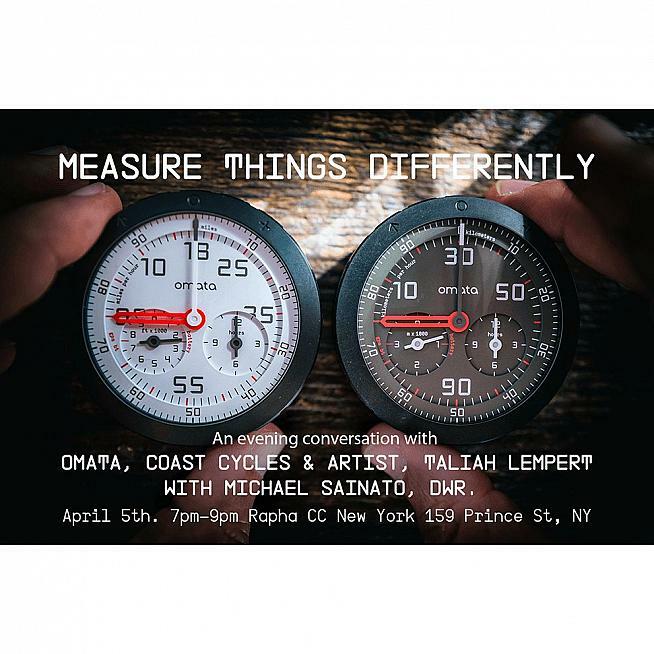 "We're having an OMATA One give-away at the @rapha Clubhouse on 159 Prince St on April 5th at 7pm." Seriously? WTF? I've waited nearly two years as a backer of OMATA and you're giving one away to some random stranger at the Rapha New York clubhouse (I've got nothing against Rapha by the way, I was one of the original financial backers when they set up 13 years ago). "Rhys has pulled and packed all rewards for UK backers to be express air-freighted to our friends and partner at OTE Sports, who will handle UK distribution. That crate will go out by the end of this week, latest. Once OTE receives it, they will begin mailing out UK backer rewards directly from their facility. We will be in constant contact and will be the primary source for shipment inquiries. We are paying duty and customs-fees, so there should be no interference or delays. You will not have to pay duty and associated fees." Two days later Fabian Cancellara posted on his Twitter feed a picture of him going out for a ride with his brand new OMATA attached to his bike. It's now 30 April and I've still not got my OMATA. I can go onto OMATA's website and buy a brand new OMATA for $550 and it will be shipped in the next five days, according to them (although I am not sure I believe much of what they say now). I had an update on 18 April explaining that UK customers will have their OMATAs shipped to OTE Sports, a UK agent, who will send them on but for me it's just a bit more of a 'blah, blah, blah...you'll get it eventually'. Actually, I've just had an email from Rhys at OMATA, saying: "I can't give you exact date as UK OMATA's are currently in Manchester airport awaiting customs clearance. Once they are through, as the update say's, OTE will help us out with shipping. They're in Leeds so shouldn't take too long from then on." Knowing customs clearance times, I might see my OMATA in a couple of weeks time. Don't pledge on Kickstarter unless you are getting a substantial discount. I've paid $519 (plus $20 postage) for a product that now retails at $550. For that $39 discount I have had to wait for two years and take on the substantial risk of being a Kickstarter backer. If OMATA had failed to deliver I could have tried to chase them down and get the money back but my chances of doing so would have been very small. I would have been a lot better off just waiting for the product to go on general sales and I would probably have received it earlier. Don't expect anyone to stick to their deadlines. This isn't just a complaint about OMATA. I have backed several cycling related projects on Kickstarter and let's just say that promptness is not common. Another example is MonkeyLectric, a set of lightweight LED wheel lights, for which I pledged $110 in December 2016 with a delivery date of June 2017. We are currently sitting on a delivery date of summer to autumn (that's fall for American readers) this year. MonkeyLectric have at least been pretty open in communicating about why they are delayed. And just occasionally a project does deliver on time; a shout out to bike lights manufacturer See Sense who actually pretty much met all their deadlines. My advice for anyone who is raising funds on Kickstarter is more simple. Remember that your backers have taken a substantial risk by putting money behind you. Respect that they have given you the capital to deliver your project. Don't go and sell your product to the rest of the world until each and every one of your backers has received what they have paid for. And when backers get angry with you, engage with them rather than be defensive. It shouldn't be that hard, although on the evidence of what I have had to deal with, it is. We will be posting a OMATA One Cyling Speedometer review as soon as it actually reaches us. Whenever that is.